Our kitchen is situated between both the preschool room and the toddler room and we have a kitchenette in the Babies room. Our cook provides our children with healthy homemade meals and baking which is approved by the Healthy Heart Foundation. 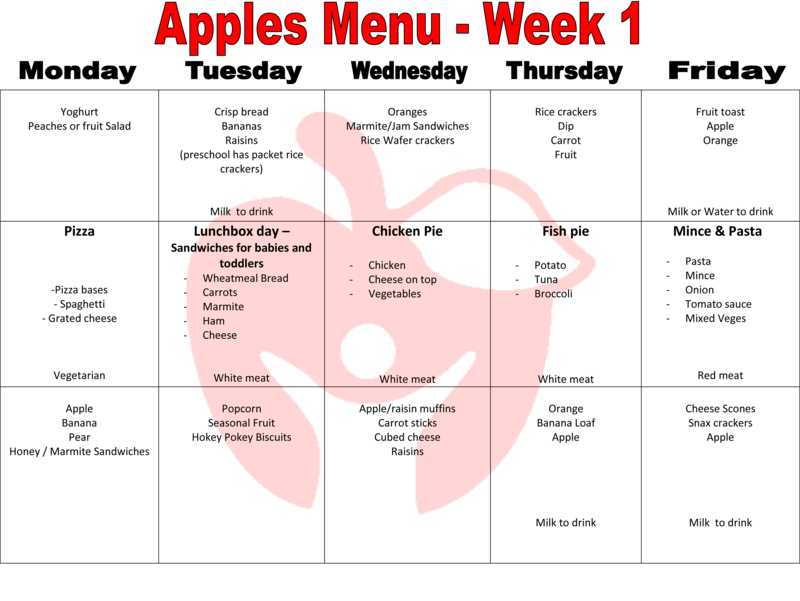 We routinely update our menus to give the children new and varied options for their meals. We endeavour to cater for all allergies and meal requirements where possible. 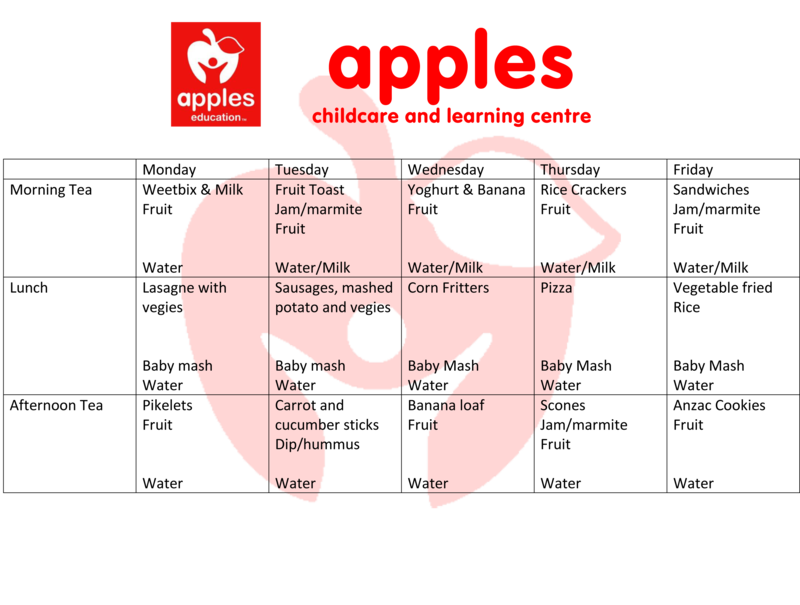 We will either modify our menus or provide separate nutritional meals for those children who have special dietary requirements. The location of the kitchen allows the children to be involved in baking experiences and provides children with free access to water throughout the day. It also allows for parents to be able to stop in and talk with our Cook and for the children to feel connected to her as they are secure in the knowledge that she is always close at hand.